I'll be honest - I don't get quite as excited about these stand-alone films (which, so far, is just Rogue One and Solo), because they don't advance the narrative of the main saga, or delve deeper into the Force. But that actually works in Solo's favor. Since this movie isn't as "important," the viewer can just sit back and enjoy the ride. And what a ride it was. Right after Han and Qi'ra are separated on Corellia, Han sees a recruitment ad for the Imperial Navy. The music in the background of the ad is the Imperial March, but played in a major key. This same major-key version of the Imperial March was featured as source music in Rebels, being played by a band during an Imperial parade on Empire Day (the anniversary of Palpatine's creation of the Galactic Empire). Speaking of the Empire, I noticed something interesting: The Imperials aren't really the villains of this story. In fact, you could pretty much replace any reference to the Empire in this movie with "the cops," "the army," or "the authorities." This makes sense; the average citizen of the galaxy is not a member of the Rebel Alliance, so the Empire is just the de facto government. When Beckett and Val are debating whether to bring Han and Chewie onto the crew, Val mentions other potential candidates, including Bossk. You might remember this lizard-like Trandoshan as one of the bounty hunters Vader hired to track down the Millennium Falcon in The Empire Strikes Back. He also made appearances in The Clone Wars. And finally, towards the end of the movie, Han approaches Lando's sabacc table furiously, berating Lando for abandoning the crew. But as Lando flinches, Han starts laughing, and assures Lando that things are fine between them. Lando later pulls the same prank on Han, when he greets him on Cloud City in The Empire Strikes Back. As Han and Chewie ride the elevator on Kessel, Chewie rips a guard's arms out of their sockets. Way back in 1977, C-3PO asked Han why people would worry about upsetting a Wookiee, and not a droid. Han replied, "That's because droids don't pull people's arms out of their sockets when they lose. Wookiees have been known to do that." Of course, the game they were playing in that iconic A New Hope scene - dejarik - also makes an appearance in Solo. While Han goes after the coaxium on Kessel, Chewie runs off to rescue some enslaved Wookiees. As Han and Chewie are preparing to leave the planet, one of the other freed slaves (a human) calls out to one of the Wookiees. I didn't hear quite what he said, but I could have sworn it was something like "Malla." In the infamous 1978 Star Wars Holiday Special (I'd tell you to find it and watch it, but it's almost irredeemably terrible, so don't), Chewie has a wife named Malla. And unless I'm mistaken, she just made her cinematic debut in Solo. We finally get to see the Kessel Run. By deviating from the accepted course, Han is able to take a shortcut, and make the run in a shorter distance. After arriving on Savareen, Han brags to a bystander, "I just made the Kessel Run in twelve parsecs." Chewie growls at him that it was actually a little over twelve, and Han says he was rounding down. But by the time Han is telling Luke and Ben about it in A New Hope, he's modified his story again, telling them that the Millennium Falcon is "the ship that made the Kessel run in less than twelve parsecs." At the end of the movie, Enfys tells Han that the coaxium he gave her would give them the resources to start a rebellion. I didn't get the sense that they were talking about rebelling against the Empire; rather, their aims seem to be fighting back against organized crime. But later on, if Enfys Nest's interests align with other rebel cells, and she and her marauders end up joining the Alliance, it's conceivable that Two Tubes could find himself fighting with Saw Gerrera. So I'll assume it's the same character, and not just another member of the same species. 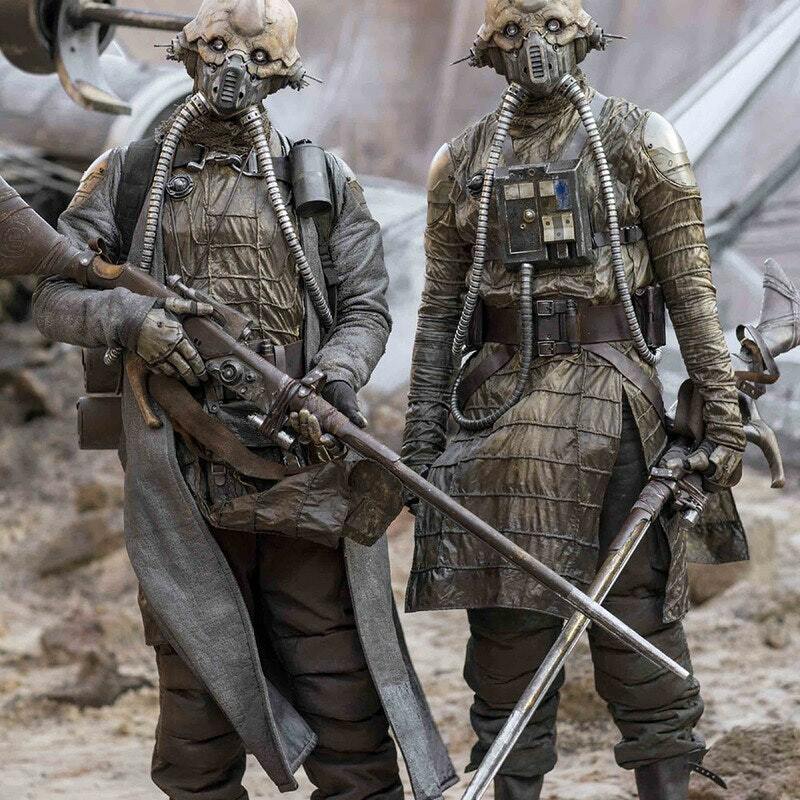 Another member of Enfys Nest's band is a man named Weazel, who is played by Warwick Davis. Davis first showed up in the Star Wars universe playing Wicket the Ewok in Return of the Jedi. But years later, he had a cameo in The Phantom Menace. He was a Sebulba fan, who sat next to Watto during the Boonta Eve Podrace. And his name was Weazel. So that makes him the second character from Episode I (after Aurra Sing) to be referenced in Solo. If, for whatever reason, you haven't seen Solo, but you're reading this anyway, this is your last chance to turn back. Throughout the movie, there are several mentions of the fact that Paul Bettany's character, Dryden Vos, answers to someone else. The first time it was brought up, I didn't think it would be revealed in the movie, so I kind of ignored it. But when it was mentioned again, I started to get the feeling that this could be a big deal. I wondered who Vos's employer could possibly be. Right up until Qi'ra activates the hologram, I thought it was going to be Jabba. But the first thing we saw in the holo was someone's feet, so it was definitely not a Hutt. Then I heard Sam Witwer's voice. "No way..." I said under my breath. But the figure pulled back his hood, revealing a horned head with a tattooed face. Darth Maul!!! Well, technically, just "Maul." He dropped the "Darth" after Sidious disowned him. If you haven't seen The Clone Wars or Rebels, you may have been very confused by this reveal. And rightfully so. After all, Obi-Wan Kenobi cut him in half in The Phantom Menace. You need to watch The Clone Wars and read the comic miniseries Darth Maul: Son of Dathomir to find out what happened next. To make a long story short, he survives being bisected thanks to his connection to the Dark Side, gets some cool robotic legs, and sets out to rule the criminal underworld. I left a ton of details out, but a text summary doesn't do it justice. Just check out this article on StarWars.com for a list of the relevant episodes to watch. Because his return was depicted on a TV show - which had a much smaller audience than the Star Wars movies typically pull in - I never thought we'd see Maul on the big screen again. It would just raise too many questions, right? Well, not for me. For years I've been watching as the TV show Agents of S.H.I.E.L.D. makes references to the Marvel movies, while the movies completely ignore the show. So seeing a storyline from The Clone Wars both acknowledged and continued in Solo was extremely satisfying. We end the movie with Han and Chewie on their way to Tatooine, to join the crew of "a really big gangster" (obviously a reference to Jabba the Hutt). One might assume that Han and Chewie are about to start the job Han refers to in A New Hope, the one where he drops his shipment and ends up owing Jabba a lot of money. But we have a couple of clues that there are several years between the end of this movie and the events of A New Hope. I think Han and Chewie will do several jobs for Jabba. And since Han isn't quite where he was character-wise in 1977, I think he might go through some experiences that will make him more cynical. But, as Qi'ra points out, he's still a good guy at heart. I'm also interested to see what's next for Qi'ra, Maul, and Crimson Dawn. With Dryden Vos dead, Qi'ra could have left her criminal life behind. But she chose to rise up in the ranks instead. 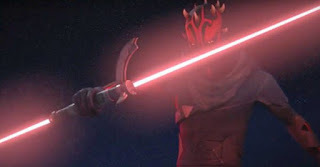 Maul eventually shows up in Rebels at a Sith Temple, with the aim of getting revenge against Kenobi. 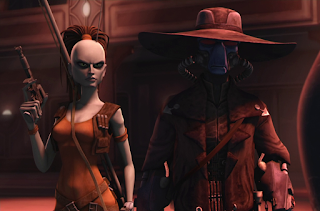 Since I don't remember hearing about Crimson Dawn in any other Star Wars media, my guess is that the criminal organization will meet its end before then. 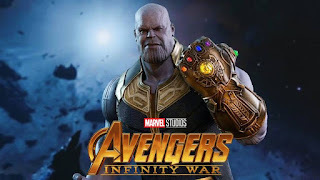 So I guess the question is, are we going to see any more of these exploits on screen? 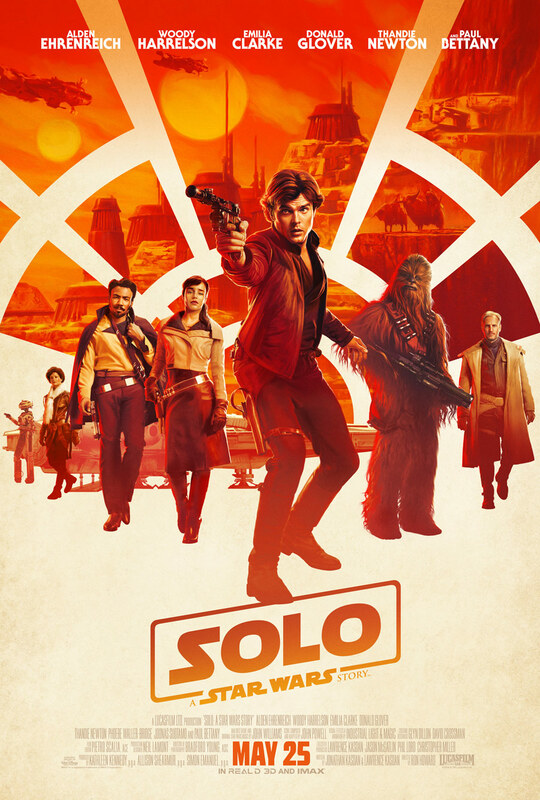 Will they make a Solo sequel? Or a Lando stand-alone movie? Perhaps an Enfys Nest movie, where she and her marauders take on Crimson Dawn. Or maybe the upcoming Star Wars live action TV series that Jon Favreau will be helming. 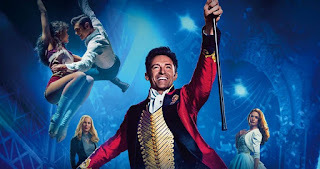 (After all, Favreau provided the voice for Rio in this movie, so his experience in this movie may have been the inspiration for his pitch to Lucasfilm.) The nice thing about the Star Wars universe is that they can tell these stories in a multitude of forms - in movies, television, books, comic books, or even video games. So whatever form the story takes from here, I'll be looking forward to it. What do you think Lucasfilm will do next with these characters? What were your favorite references in the movie? Did I miss some? (Well, I definitely missed some.) Let me know in the comments. I thought it was cool that the disguise Lando wears at Jabba's palace at the beginning of ROTJ made an appearance in Solo. I actually had to stop and wonder why he had a uniform for one of Jabba's guards at this point, and how that would help Beckett fit in on Kessel. But maybe those guards are like a Criminal Underworld Guard Guild or something, in which case it would totally work that Beckett could disguise himself Qi'ra's guard.